Drum Corps International in conjunction with the Institute of Health and Human Performance (IHHP), is pleased to release a set of products which are specifically designed to enhance performance and reduce the risk of performance-related injuries for marching musicians. 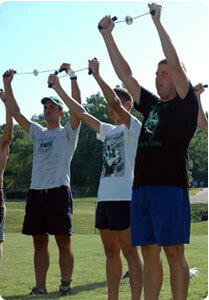 The product set includes equipment and instructional materials that incorporate exercises and techniques utilized by the Cavaliers in a pilot program developed through the IHHP, designed for all marching musicians. 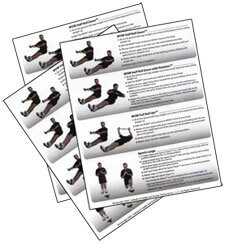 Program users will learn proper warm-up techniques in addition to the importance of resetting muscles after workouts or rehearsals are completed, among other topics. "With this program you're going to learn how to strengthen your body before your season begins. It'll also teach you how to warm up before you pick your instrument up, spin your flag or throw your rifle, in addition to resetting after the workout to bring your muscles back to where they were before you started rehearsal that day," said the Cavaliers' director, Jeff Fiedler. "After having the corps work with this program, we've found that it can make you a stronger performer, and it can keep you in the game while others who haven't done this type of program may not be able to participate as much as they want to." Let Drum Corps International and the Institute of Health and Human Performance help you make a commitment to training in the off-season, and in return, a commitment to excellence in your marching music endeavors. View a video message from Jeff Fiedler about the importance of injury prevention and how the Cavaliers have successfully implemented programs from the IHHP. The Musician's WOW warms up, resets, exercises, strengthens and tones the body. Using the WOW with Rhythmic Resistance (a combination of coordinated body rhythm and energy), the musician performs warm-up and resetting movements that keep the body fit, help prevent injuries and burn calories. 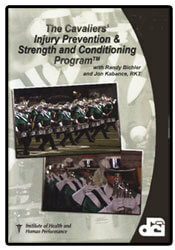 Learn more about the Musician's WOW and see it in action in this video clip from the Cavaliers' Injury Prevention and Strength & Conditioning Program DVD included in this package. Designed to be used at home, Balance Performance Stands provide an unstable surface for marching musicians to stand on while practicing their instruments. 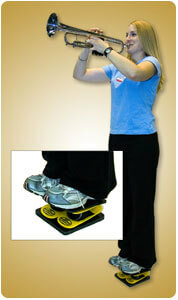 The unstable environment challenges individuals to improve their balance. Better balance enhances performance by correcting posture and opening the diaphragm, which in turn produces a bigger sound. In addition, the Balance Performance Stand strengthens the legs, hips and backs for long hours of precise movements and routines. This educational and demonstrational DVD gives instructions and exercises for the Musician's WOW, in addition to various programs utilized specifically by the Cavaliers, the pilot drum corps in the IHHP's marching music programs. Step-by-step exercises and accompanying photos for the Musician's WOW and the Balance Performance Stand to put you on your way to preventing injury and enhancing performance. Special DVD bonus: The Cavaliers' 2006 DCI World Championship performance of "MACHINE"
See how the Cavaliers' strength and conditioning work paid off in their World Championship Finals performance of the corps' 2006 production, "MACHINE." 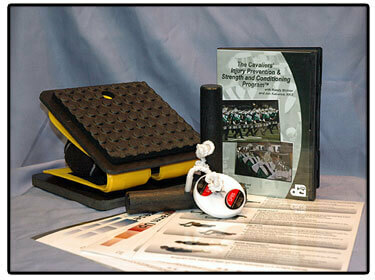 Order the Injury Prevention and Strength & Conditioning Program for Marching Musicians?„? Learn more about other products from the Institute of Health and Human Performance.